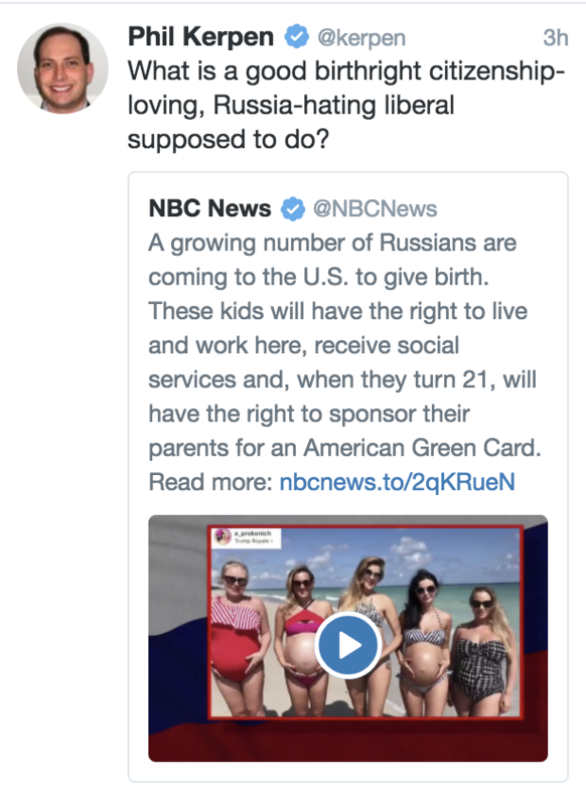 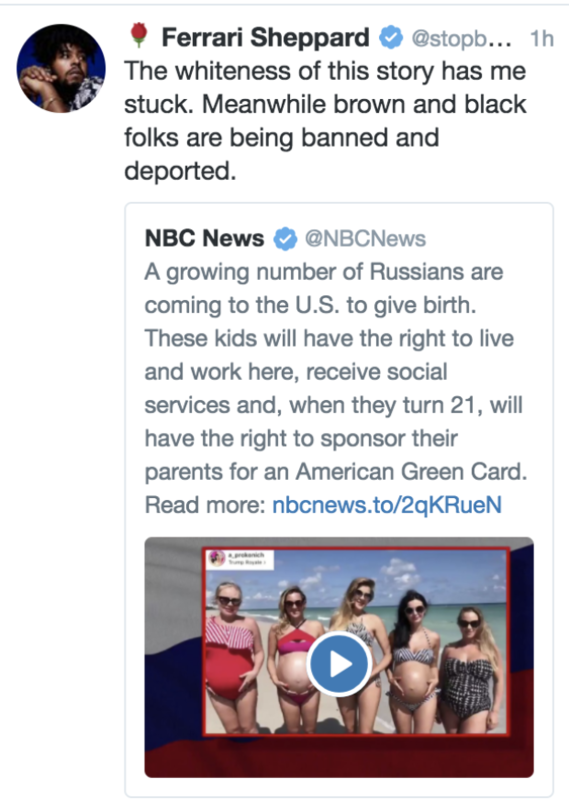 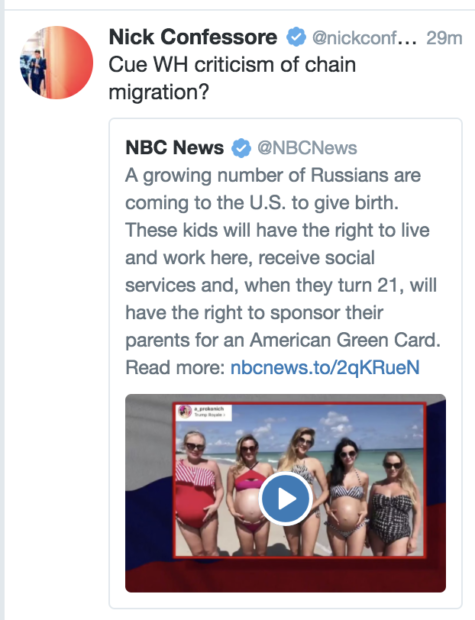 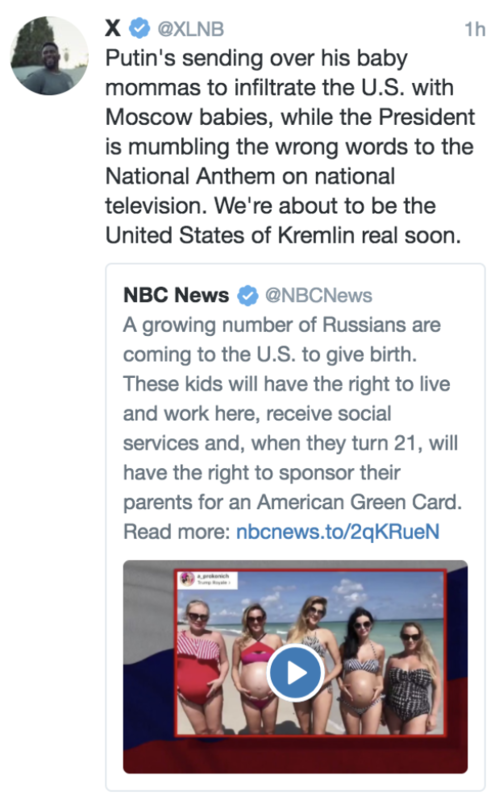 NBC News tweeted a story this morning about pregnant Russian women to travel to America to give birth so that their children will have dual citizenship and eventually sponsor their parents for citizenship. The tweet was accompanied by the following video and text. A growing number of Russians are coming to the U.S. to give birth. 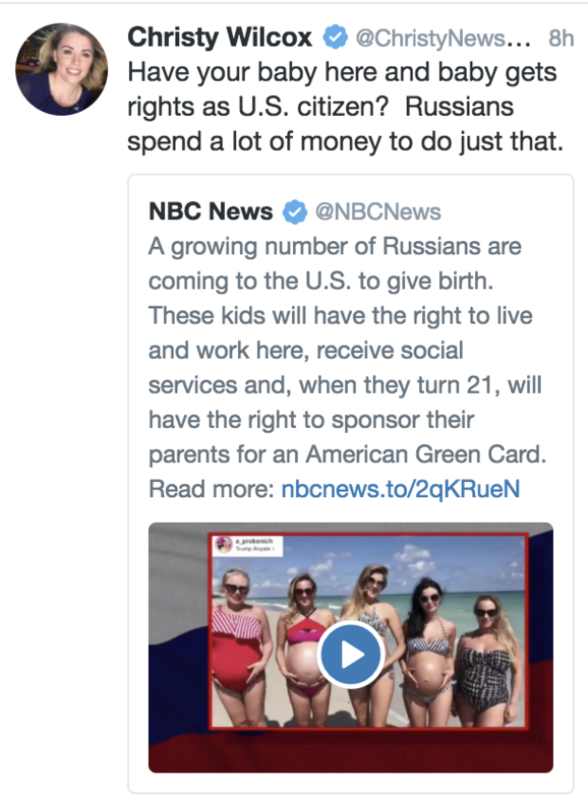 These kids will have the right to live and work here, receive social services and, when they turn 21, will have the right to sponsor their parents for an American Green Card. 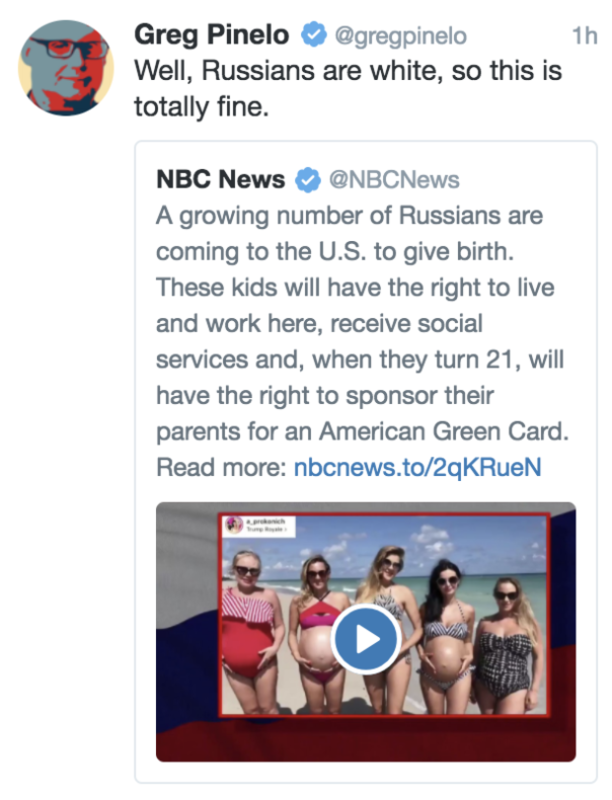 The tweet has received mixed reviews by reporters and commenters online. 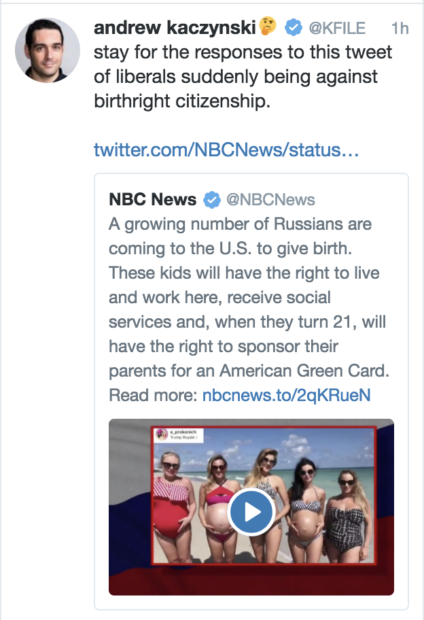 Many verified accounts are upset and confused at the racial connotations over the tweet and birthright citizenship. 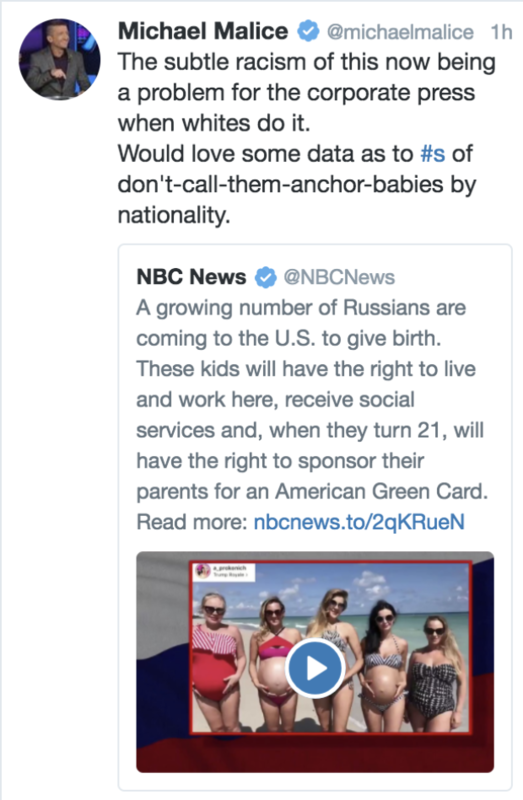 Conservative researcher Phil Kerpen perhaps said it best.